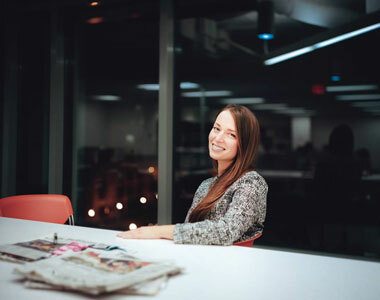 Julia Ioffe, a contributing writer at The Atlantic and a former Russian correspondent for The New Yorker, is a leading authority on Russian-U.S. relations. Born in Moscow, Ioffe’s family moved to America when she was 7 years old. Ioffe conveys Russian-American relations from both sides with clarity and insight, providing colorful, character-rich discussions of Russia’s socio-political structure, its tempestuous historical relationship with America and how Russia will affect U.S. politics and policy. What does Russia really want? American speculation on Russia’s actions—what it has or hasn’t done, what it might do—is a major political topic; the guesswork is deafening. Is Russia as cohesive a force as we think? To what degree have their threats to U.S. democracy been successful? Ioffe, author of the illuminating Atlantic cover story “What Putin Really Wants,” and the forthcoming book Russia Girl, has emerged as the premier voice to access Russia’s intentions and what they mean for America. Her talk is presented with community partner, the Cleveland Council on World Affairs.